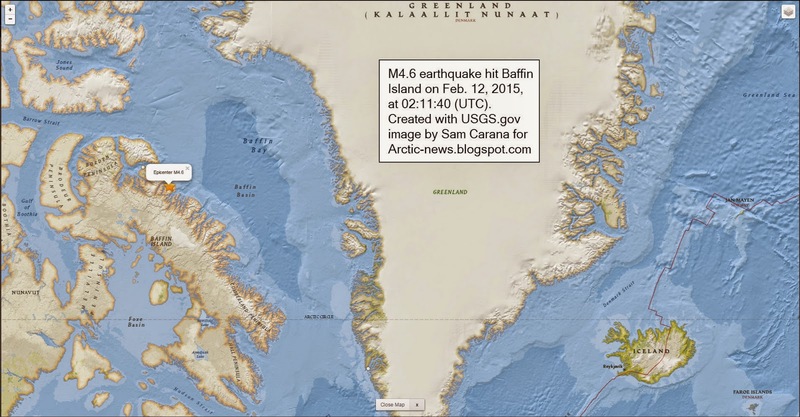 This M7.1 is the largest earthquake to hit the area around Greenland in a decade or more. And it's not just this one that has recently hit the area. 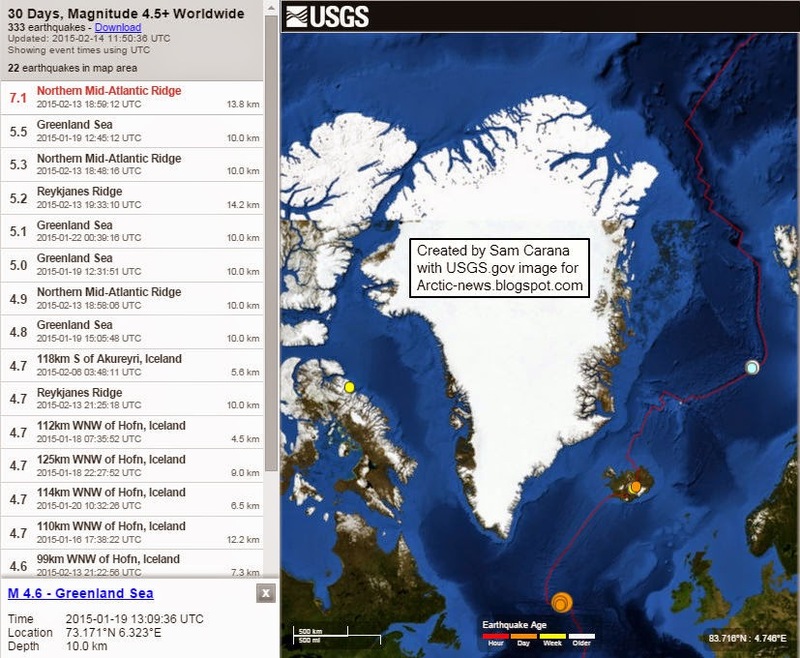 The image below shows the recent Baffin Island quake in yellow, and the earthquakes that occurred today at the Northern Mid-Atlantic Ridge in orange. Furthermore, there are recent quakes on Iceland in orange and yellow. There were also three large earthquakes in the Greenland Sea, the 4.6 one is highlighted in blue (otherwise it would have been hidden). Boston has meanwhile run out of room to dump snow, while roofs have collapsed in Massachusetts under the weight of the snow. Lnks between extreme weather events and earthquakes have been discussed before. 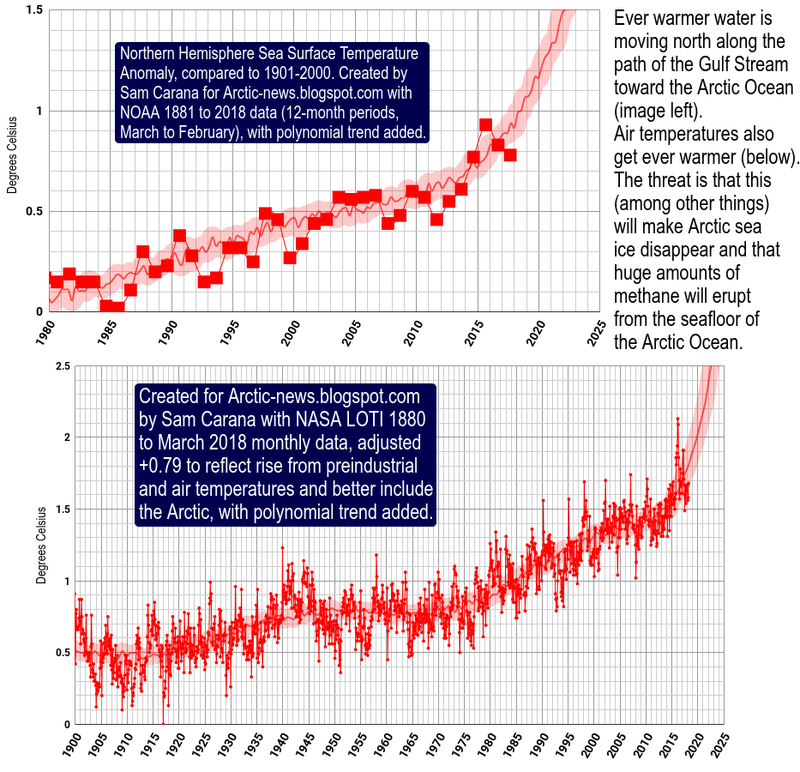 Extreme weather events look set to intensify as temperatures in the Arctic keep rising. 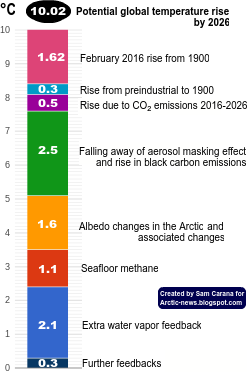 This is very worrying, given the vulnerability of methane under the seafloor of the Arctic Ocean. 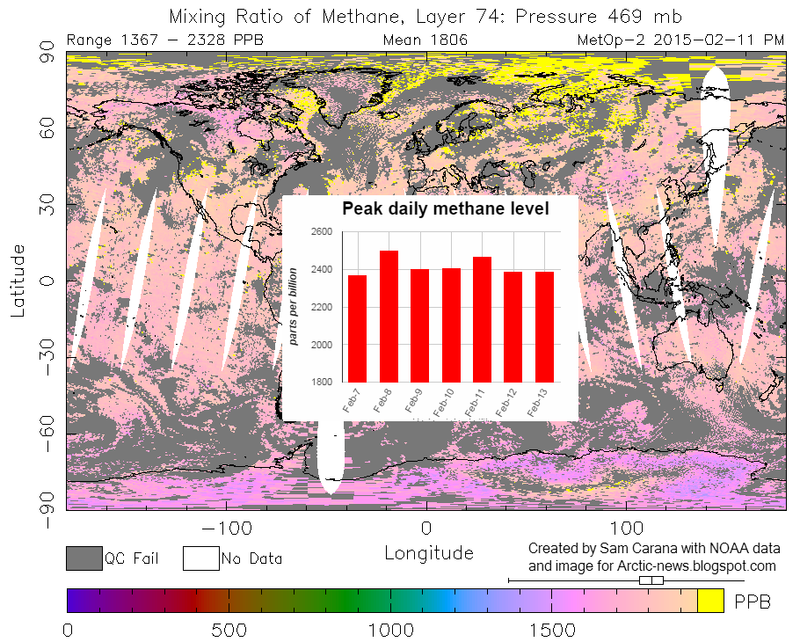 Furthermore, there are also indications that methane could be released from Greenland due to sequences of strong compaction and expansion of the snow and ice cover, due to extreme weather events. More and more evidence that the climate itself is changing. As the load of ice & snow melts off of land, it will rise shifting strains on nearby faults causing them to fail. Here in mid February on the SW Oregon coast where it should be mostly chilly & wet, instead it's been sunny & warm, today the high was 84F. Even when it rained, it didn't seem as cold as usual, there was no "bite" to the chill. I know weather isn't the same as climate but this is just a little out of line for "winter". Dang! In co. Yesterday my gf and I were hiking in what felt like 60, all of a sudden it started snowing has not stopped tomorrow were getting 2ft,and snowing in the desert all week.